Snapshot: This indoor wireless IP camera has HD image quality. It detects motion and can be remotely accessed on iOS and Android devices and from the internet. But how good is the picture? Remote access via iOS, Android and web. Cloud storage, but it requires a subscription. When assessing how well an IP camera performs we look at its image quality in daylight and low-light conditions. We look at the clarity of the images, the contrast at close range (2m) and a moderate distance (4m). We look at how well they show a person, objects and graphics/text for reading any signage on vehicles or name badges. 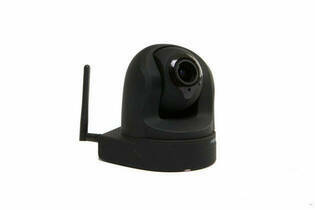 Assesses the set-up and use of the camera, including installation, ease of recording and motion detection. We also look at how easy it is to receive alerts when motion is detected. A camera scored higher if it sent an email with a screenshot, but any email or push notification to a mobile was considered good. We also scored cameras on how easy it is to automatically and manually take photos or recordings, irrespective of whether a notification was sent, and how easy it is to store footage to cloud storage.